I don’t know if you have heard, but VitaminWater is going to give one person a chance to win a 100,000 dollars if they can go without a smartphone for 365 days. Yes, I have entered for the chance. Have you? Could you go a year without your smartphone? I doubt I will be selected. To enter you have to post on social media how your life would be different for the year. As I write this, Instagram says there are 59.3k posts with the VitaminWater’s contest hashtag, #NoPhoneforaYear. So, I doubt my three entries will even be seen. Smartphones do enhance our lives. I listen to music. I take pictures all the time. In fact, I was going to do the 365 photo challenge again for 2019, but decided to wait till VitaminWater chose the person for their contest. I would miss the instant communication with my family. Even the quick text to let them know I love them. Yes, I even play games on my phone. I have played Puzzle and Dragons for 1661 days (this is why my oldest son doesn’t think I could make it a year without my phone). When I told my students about the contest, one student said 100,000 dollars wasn’t enough money to give up their phone. Now, I could reference all the articles and studies about the power of screens in our lives. This is a cultural debate, but also still a new development in our society. The iPhone is only 11 years old. Think about that… both the positive and negative of what smartphones have done for us. But again, this post isn’t about that, either. Would you live a year without a smartphone for 100,000 dollars? I think I can. Would you live a year without a smartphone for your goals? I’m trying. I’m not giving up my phone. But I am putting it down to write this blog. I am leaving it on my nightstand more. Yes, I have played Puzzle and Dragons today. I have texted my family. Took a crazy photo at lunch. But I am letting my life dictate my phone use. I’m not letting my phone dictate my life. I push rewind for the fifth time on the left side player. Then rewind, then play, to hear the end of the song so I can stop the tape. There has to be the right amount of silence between songs, plus this is the last song on this side, so I have to make sure it fits. I have already recorded the songs on the paper cover, in pen even. This is the first mixtape for this girlfriend, so it has to be right. My kids are missing out on making mixtapes. And that saddens me, here’s why. One, a mixtape took work. You had to know if songs would fit each side. Had to have the tape of the songs you wanted. If you didn’t you had to borrow them, or try to get the song taped off the radio. And that was always a difficult situation. The DJ might talk right up to the first line of the song, or you were busy doing something when the song came on and couldn’t get to the radio to hit record. When you handed that tape to her, you both knew the work it took to make it and that meant something. Two, the challenge to pick the right songs. Depending on where you were in the relationship affected the song selection. So, you would have to listen to every song’s lyrics. You would have to evaluate if the lyrics were too serious for the relationship, while also deciding if she would actually like the song. There was some serious analysis put into song selection for mixtapes. A mixtape, or even a playlist, allows the other person to know us in a unique personal way. 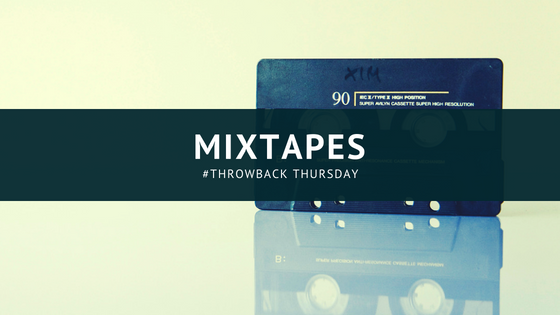 Yes, it is nostalgic, but I still think a mixtape is better than a playlist… there are no commercials, only music that I choose to share with you. 20 years of marriage today. I was going to write a deep “what I’ve learned” type of blog… but I’ll save that for later. 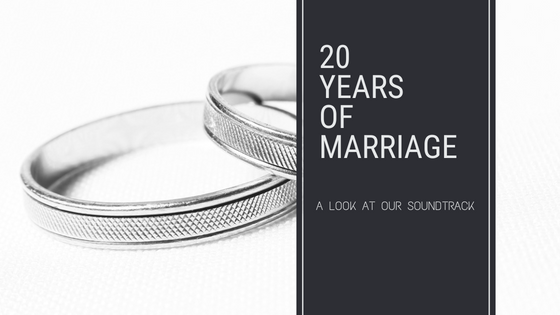 This post may still be deep, but it will be light-hearted and dedicated to celebrating 20 years of love. This use to be my ringtone for my wife on my first phone, back in 2004. The phone had that hidden keyboard you slid down when you turned the phone on its side. It was blue. But anyway, this ringtone got me a free coffee one day. This is my favorite Josh Groban song. My wife and I got to see him play this song in concert, plus, he played the song on a secondary stage that happen to be right in front of us. Yes, I teared up during the song (come on, who wouldn’t). That night is one our favorite date nights. But we saw Tim McGraw and Faith Hill last year. We have seen the musical of Beauty and the Beast. We have also been to Brian Regan and Phantom of the Opera with our children. We don’t get to do big events like that often, but they are awesome moments in our life. At the moment, my wife and I are watching the whole series of Miami Vice (I got the series as a Christmas gift). Almost every summer we choose something to watch. One summer we watched every Star Trek movie, yes even the new ones. It was interesting to watch the progression of special effects. We have watched every episode of Friends. We have seen all the Hobbit and Lord of the Ring movies, to name a few of our summer series. I have one more music break, but before I share that, who says we don’t have a soundtrack to our lives? It has been 20 years of marriage for Lynette and I today. I was up early to get ready for work. I kissed her before I headed out the door. There have been some really tough times, moments of joy that have broken my heart, but we have stuck together. As I pulled my car out of the garage (radio on Yacht Rock) I smiled… I can’t wait to hear the next song in our life. I’ve become a fan of Ben Rector. My second son, who is into electronic / dance music, actually shared his music with me. He said I would like it. He was right. Ben Rector has a song, “Like The World Is Going To End,” that has gotten me thinking. Well actually, it is a few lines from that song that got me thinking. This idea runs through the song until in the last verse he sings that he would bring everyone he loved to California so everyone could say the things they were scared to say till then. What really got me thinking was the idea that they wouldn’t be sharing secrets or past hurts, but speaking honestly about their love for each other. How scary is that? How hard is it for us to tell someone how much you truly love them? Now, I am not diminishing the power of saying “I love you” to family and friends. I’m talking about expressing our emotions openly to someone. That is hard for a few reasons. First because we have to remove all our defenses to that person. Our heart is out in the open and it bruises easily. Second, even for me, sometimes we just can’t find the words… or the words we have don’t even come close to revealing the depth of our feelings. Even as a poet, I can not tell my wife how beautiful she is when she smiles as she plays or interacts with our children. Or explain to my little girls the rush I get when they run to hug me when I get home. Back to the song. Back to the idea that Ben Rector is sharing in the song. We should be telling our family and friends how much they mean to us, how much we love them. We should do this more than we do. No matter how hard it is. How scared we are to open up. Because I love how he ends the line, “till then.” In the song he is referencing the idea that the world is going to end. But I feel that he is also hinting at that once you decide to share your love with others you’ll wonder why you waited. I’ve been reading a few different books and one idea that has come through is that everyone is going through a struggle. It might be small or life changing but everyone we meet is dealing with something. And that struggle will change. So, I wanted to send a small message to you today. I’ll let the song speak for me. Reading the book Too Big To Know, by David Weinberger, was one of those moments that helped me see something I already knew in a slightly different light and that sparked a whole new train of thought. I love these moments. 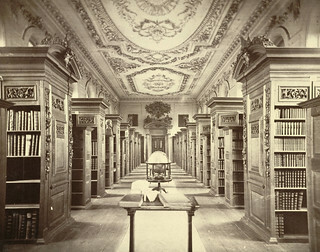 The book is a look at how the Internet is changing the view of knowledge. I highly recommend the book, but I want to discuss the most obvious point from the book. Abundance. As David Weinberger points out, we have had an abundance of information for a long time. Have you read every book in your local library? Have you read every book you have bought or downloaded? Neither have I. What the Internet does is make that abundance faster and in different forms: articles, videos, apps, music, and opinions. School is out for the summer, so I’m going to approach this idea from a dad perspective. Through this example I hope to express how abundance can be a great thing for learning. Question, what does “Wake Me Up Before You Go-Go,” the 2012 Eastern Conference Finals, Yoda, and a Tom Brady rookie card have in common? Answer: My sons and how they come to find interest in things. My two sons are 11 and 9 right now. And because of the abundance of the Internet and technology, I have been having a blast sharing my interest with them. One example is music. Right now my oldest son is into Harry Connick Jr. and 80’s music, while my other son is listening to the songs “Good Life” (One Republic) and “Believe” (Cher). They use Grooveshark to create playlists to dance to, or to have as background music as they play animal tag with their sisters. My oldest son’s interest in 80’s music comes from the video game series, Just Dance. His interest in Harry Connick Jr. comes from the movie, Dolphin Tale, which Harry Connick Jr. has a role in. I have some of his CDs, but my son has been checking out other CDs from the library. 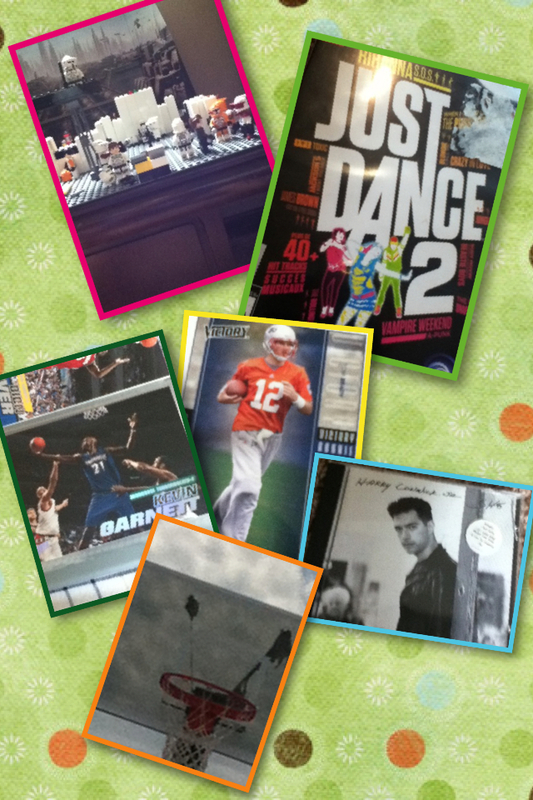 When my second son bought his iPod, I put some music on it he might like. The music on his iPod has grown from his own interest and suggestions from me. One of our favorite songs is “Closer To the Edge” by 30 Seconds to Mars. We cheered on the Celtics (I am a Kevin Garnett fan) in the Eastern Conference Finals together because of trading cards and the NBA 2K11 video game. My second son’s favorite basketball player is Shawn Kemp, who he has only seen play on YouTube videos and the video game. He does have a few of Shawn Kemp’s trading cards. We watched the Super Bowl because they have a Tom Brady rookie card. I’m a Minnesota Vikings Fan, last season was a tough one. Both sons like Star Wars; that started because of the Lego Star Wars games. The boys have also seen the movies / shows, Hoosiers, Clue (thanks to my wife on this one), Searching for Bobby Fisher, and the original The Muppet Show just to name a few. They don’t like everything I share with them, but what is incredible is the ability to share aspects of my life with them. And to share the original content, not just a story. My music collection is not unpacked yet, so I use Grooveshark to share a song they might like. Then if my second son wants the song we can buy it from iTunes. When my oldest son got the part of Winthrop in The Music Man last September he used YouTube to study the role. The abundance we have can be a powerful aspect to our lives. Yes, there are some negatives, but that is for another blog post. My sons’ and I are building strong connections because we can share and experience life in a completely different way than before. History is important and powerful. Shawn Kemp is my son’s favorite player. He has never seen him “play.” But he knows a lot about him, plus he understands the history of the Oklahoma City Thunder (who he is cheering for in the finals because they use to be the Super Sonics) because of his interest. When embraced, this abundance we have can allow us to naturally learn anything that interest us. It can build connections; between people, between today and yesterday, and even between who we were and who we can be, because it allows us to explore and investigate life in ways we couldn’t before. It gives me an opportunity to be a better dad, to be able to enrich my children’s life with more than just stories. I can share my history sometimes in its true form today. I remember when “Wake Me Up Before You Go-Go” was a hit in 1984 and have shared stories from that time in my life with my boys. Today, the song is just as important because it makes us excited when it is one of the songs for the dance battle on Just Dance 2 (yes, I have won on that song a couple of times). P.S. My second son made the collage this morning at home while I am at work. Connectedness, but that benefit of technology is another blog post. We need to watch the stars, to remind ourselves that there is a beauty to life we forget about. We need to hold our loved ones a couple of more seconds, to remind ourselves to feel the depths of love. We need to open our hearts a little more, to remind ourselves that risk takes us to deeper aspects of life. We need to be silent, to remind ourselves that life is filled with more than we know. we just need to know that life is good even with the tears.